It’s not every day you get the chance to meet someone who makes you stop in your tracks and think about your purpose. Someone who’s kindness, generosity, and perseverance are awe-inspiring in their authenticity. Someone who’s life is dedicated to lifting up those who are struggling and sharing compassion with those who society chooses to ignore. 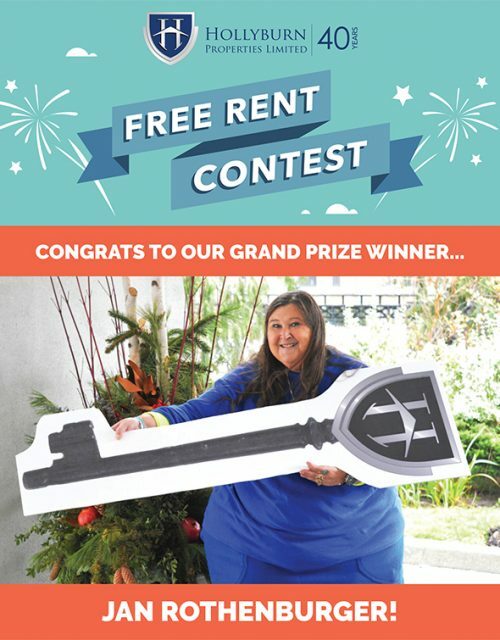 Meet Reverend Jan Rothenburger, Toronto resident and genuine “Angel here on Earth.” Jan is the recipient of the Hollyburn Free Rent Contest, and as such, will be living in a Hollyburn apartment rent free for a whole year. Coincidentally, Jan is an existing resident at Avenue Park Apartments in Toronto, a rental community that Hollyburn acquired earlier this year. Jan has lived in the building since she was 18 years old, and plans to continue living there for as long as she can tell. Jan was nominated for the contest by her long-time friend and neighbor Agnes, who saw the poster calling for community champions and thought immediately of the most community-involved woman she knows. “Jan’s life is devoted to serving those in need, mostly women and youth who are street and prison involved, many struggling with addictions. People society would rather not think about. She works long, hard hours serving, helping, trying to save them from the degrading and humiliating situations in which life has them trapped,” says Agnes. Working on the streets of downtown Toronto as a Community Outreach Pastor for the Church at Yonge Street Mission, Jan has built lasting relationships and journeyed with those who live on the margins. 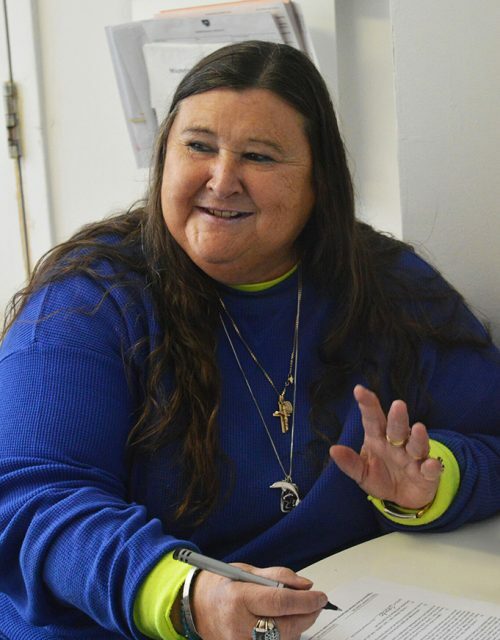 Drawn from a young age to those living on the street, Jan’s unconventional attitude and open heart have allowed her to connect with people from all walks of life. She has the gift of patience, understanding, and a reputation of integrity, and many have come to count on her for encouragement and support. “My mission has always been to get to know people’s dreams and what’s in their hearts, and to let them know that no matter what, they are valuable,” says Jan.
Born and raised in Toronto, Jan continues to be dedicated to her community in everything that she does. Her passion for urban ministry propels her to be out there and to be real. There is no one more deserving of this prize than Jan. Thank you, from the bottom of our hearts, for all that you do. We thank every participant, especially fellow finalists Ariel and Lucas, and wish to recognize all of the incredible people and stories submitted for this contest.